How do I Hire a Criminal Defense Lawyer? How to hire a criminal defense attorney. Practical advice on how to find a quality criminal defense lawyer, even in an emergency. The right attorney can make all the difference. Hiring the right criminal defense attorney may be the single most important thing you do in your lifetime. A criminal conviction can result in jail or prison, probation, loss of reputation, financial ruin, loss of custody, loss of employment, loss of professional licensing, loss of public benefits, inability to obtain loans, loss of driving privileges, and more. The problem for most people who find themselves either charged with or suspected of a criminal offense is that they have either never had to hire a lawyer before or had a lawyer who did a horrible job for them. So what do you do? Follow the following steps and you give yourself the best chance of obtaining a lawyer who will faithfully, truly and sincerely fight for you like he or she would their own family member. Get a Michigan criminal defense attorney, not just any attorney you or a friend knows or is familiar with. Criminal defense attorneys who concentrate their practice on criminal defense often know the judges and prosecutors involved, can get concessions that other attorneys don’t know to pursue, have probably handled cases similar to yours and can better advise you of your options. Check out their website and if they list many areas of practice they don’t specialize in criminal defense. If you had a heart problem, your general practice doctor would refer you to a heart specialist. Similarly, a lawyer that does felony or misdemeanor criminal defense and also divorce, immigration, business law, etc… cannot possibly be expected to do as good of a job as a criminal defense specialist. Get a criminal defense attorney who has the resources to handle your case. Resources include experts, investigators, assistants, other lawyers (associates and partners), time and experience. Most criminal defense attorneys are solo practitioners and do not work with any other lawyers and do not have experts and investigators on retainer who they work and consult with on a regular basis. Hiring a criminal defense law firm has tremendous advantages over hiring a lawyer who works on his or her own. The fact is that no one knows everything or can think of every angle in a case. The advantage to having a team of lawyers working with you is invaluable. Should you hire a criminal defense attorney, or a court appointed attorney? Court-appointed attorneys are generally reserved for people who cannot afford private or retained attorneys. However, public defenders have very little time and resources to work on your case and result in less justice, according to research done by the Justice Policy Institute. The court appointment system has been found to be highly deficient in Michigan with many court-appointed lawyers being so overloaded by cases that, despite their best efforts, they are unable to provide effective assistance of counsel. Appointed criminal lawyers may be very passionate and have the best intentions but may be overwhelmed by the sheer number of cases or may not have the experience or reputation to develop a retained practice. Be careful of a referral to “my cousin’s best friend’s cousin” as your defense attorney. Ask friends if they know (or have experience with) a criminal defense attorney. This is not the time to hire a cousin who once won a speeding ticket case for your uncle or a friend of the family who handled an OWI case for your sister at a discount. If you are charged with a crime that can cause you to have a criminal record, you need someone who knows exactly what he or she is doing and the ability to protect you. Check out a lawyer’s reputation by searching for him or her on the internet. Lawyer rating services should not be used as a sole factor for hiring a lawyer. 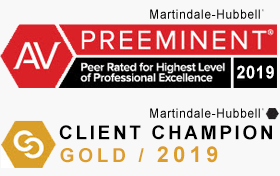 This being said, a lawyer who has earned a Martindale-Hubbell rating. “AV” is the highest ability/highest ethics rating. Avvo, probably the largest attorney rating organization in the United States has a 0 to 10 rating system with 10 (superb) being the highest possible rating. Finally, Thompson Reuters will award a very select, few attorneys with a rating of “Superlawyer.” Some websites have client reviews and they can be very, very informative. Slogans such as “former prosecuting attorney” or “aggressive trial lawyer” mean nothing. You must meet the lawyer and decide if you have confidence in his or her skills and feel comfortable with their analysis of your case. 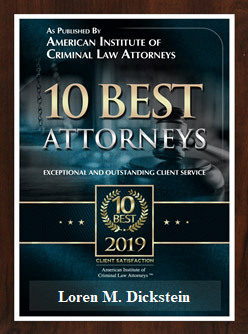 The best Michigan criminal defense lawyers get the best deals or the best results based on their talent, dedication, and reputation and not based upon prior jobs they’ve held. Many former prosecutors work as defense lawyers because they were unable to keep their employment with the government for one reason or another and they have no other alternative. Make certain that if you hire a lawyer you will not be farmed out to an associate or another lawyer. If you hire a law firm, your case should be primarily handled by the lawyers or partners of the law firm you hire. Don’t be a victim of the bait and switch. Remember there is no official list of the best lawyers. There is no official “win/loss” rate and there is no lawyer in history who “wins every case.” What is a win? A win to one client may be a favorable plea bargain or a lenient sentence and a win to another client may be an acquittal at trial or a dismissal of charges. Lawyers who advertise winning percentages or success ratio’s are often skewing the figures and leaving out important factors. Some lawyers just have “it” and some don’t and the difference is usually apparent at an in-person meeting. When you look into an attorney’s eyes and they say they are going to fight for you, you will be able to tell whether it is a sales job or genuine. Sometimes hiring an attorney based upon a phone call, take the time to really talk with an attorney so you can get a good feel for his or her sincerity. If you feel confident that an attorney is a great criminal defense lawyer and someone who is going to provide the best possible legal representation, it is very likely that you have found the right person for you. Don’t settle for someone just because they are quickly available and you are in a panic, your life is just too important. Make sure you fully consult with an attorney before making a decision and if you are not fully confident, get a second (or third) opinion. If you or a loved one is a suspect or charged with a felony or a misdemeanor offense in Michigan, please do not hesitate to call LEWIS & DICKSTEIN, P.L.L.C. at (248) 263-6800 for a free consultation and confidential case evaluation. We know this can be a difficult time and we can be by your side to help you every step of the way. Our firm has decades of experience exclusively handling criminal defense matters and we would like an opportunity to show you how we can help. If you want a seriously experienced defense attorney to contact you directly, please complete a Request for Assistance Form. You deserve someone who will fight for you!